Thankfully, gaining muscle isn’t that difficult, you just need to know how to go about it in the right manner. There are a few basic principles that, when used in conjunction with one another, almost certainly lead to the growth of significant new muscle. First it’s important to understand the basic physiology of muscle gain. Contrary to popular belief you don’t actually get bigger and stronger in the gym. Instead, it’s your body’s response to the muscle damage you inflict during a workout that leads to muscle growth. Building new muscle is all about damaging the fibers that you start with. Heavy resistance training is the best way to go about this, so you’ll need to incorporate a weightlifting program into your training schedule. The traditional approach to gaining muscle is to break training down into four of five days. On each day, you focus on a different body parts, performing 16 sets of four different exercises, each to failure (i.e. when you can’t possibly do one more repetition). The food choices you make will be a very important element of your success in gaining muscle. Firstly, you’ll need to make sure that you have a calorie surplus available to generate new muscle. If you consume only the amount of calories you need to maintain your existing lean muscle mass, you may get stronger but there just won’t be enough spare resources to generate new muscle fibre. To this base rate, you’ll need to add the amount of calories you believe you expended during your workout, plus an extra 200-400 calories. This should give you adequate caloric resources available to create new muscle without the risk of significant fat gain. Protein intake is also very important. You’ll need to keep your overall intake high, and preferably originating from good quality sources (fresh meat, nuts, whey protein). 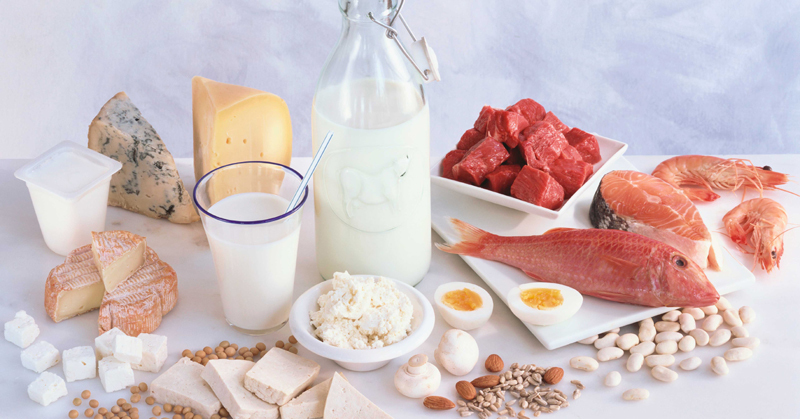 The recommended protein consumption is 0.7g of protein per pound of bodyweight. This should keep your protein synthesis positive. Whey Protein. Whey offers an efficient method to consume a very high quality source of protein. Whey is just an alternative to food really, but it does prove a cost effective and convenient option when considering your dietary logistics. ZMA. People have differing opinions about ZMA. Personally, I find it brings about a marked increase in the quality of my sleep (though crazy dreams are sometimes a side effect). I also feel that it enhances my natural testosterone production. I have more aggression in the gym and my libido is noticeably raised when supplementing with ZMA. Creatine. Creatine works by increasing the amount of Adenosine Triphosphate (commonly known as ATP) available to an athlete during training. ATP is involved in engergy transfer at a cellular level, so it is linked to performance. Water is also drawn into the cells when supplementing with creatine, allowing enhanced nutrient delivery to help muscle growth. Rest is probably the most underrated and most abused factor in the quest for muscle growth. It’s very tempting to adhere to the More Is More attitude to working out. The reality though, is that our real muscle growth takes part while we’re at home resting. Take care not to overwork tired muscles: training the same body parts too frequently can significantly impair your recovery and perhaps even lead to overtraining syndrome. You must be responsive to your body’s cries for rest when you first begin weight training, as this is when you will be at your most vulnerable. The golden rule is never train an aching muscle (with the possible exception of HST training).